Located near Jupiter’s pristine beaches, is a quiet neighborhood that basks in the sweet smell of the ocean air. Villas on the Green, which is nestled between US 1 and Carlin Park, features oceanfront condos and townhomes arranged into buildings of 4 units each. Residents of this community enjoy the pool and tennis courts. 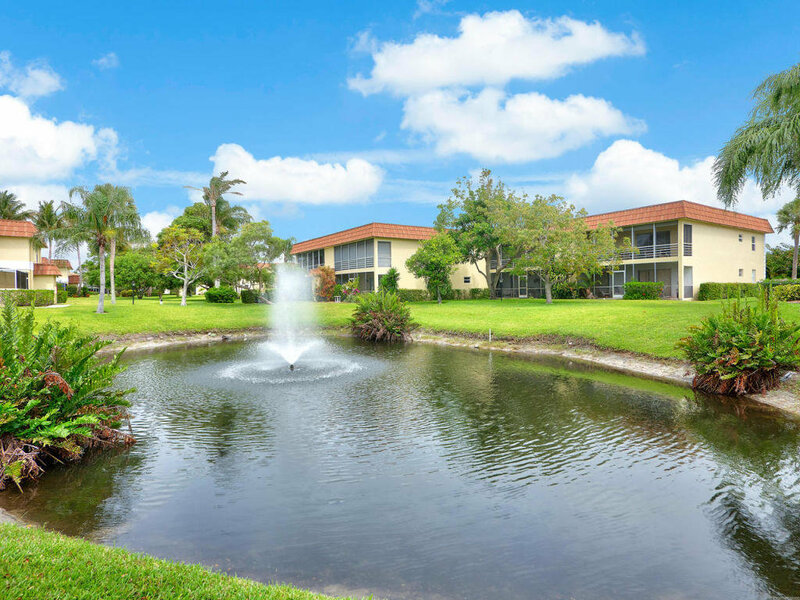 This convenient community is close to all of the amenities that make living in Jupiter, Florida the choice of discerning local, national and international buyers. Fantastic opportunity to live in a beach side condo. This two bedroom two bathroom unit located in Villas on the Green has a deeded path to Carlin Park and is a short walk to Juno beach. Directly adjacent to both the pool and the tennis courts. Hard to find barn wood was used as paneling in the living room. The lanai has been tiled and newly screened in and has a spacious storage closet.